On September 27th, 2018, the Veterinary Clinical & Professional Skills Lab (VCPSC) held its inaugural lab for the first-year students in the Class of 2022. The lab introduced them to veterinary dentistry, a skill area that has been identified as an area for improvement for graduating students here at the OSU College of Veterinary Medicine (CVM). This particular lab focused on the basics of veterinary dental charting; by the end of the lab, the students should be able to correctly chart periodontal pockets, missing teeth, and teeth crowding, using appropriate dental instruments and procedures. Dr. Amy Voss, Clinical Assistant Professor out of Veterinary introduced the lab with a demonstration of the various activities used in the lab, as well as a description of how to apply and practice dental skills. These activities are products of collaboration between skills lab faculty and staff, student workers who are currently enrolled in the program, and the Office of Teaching and Learning. 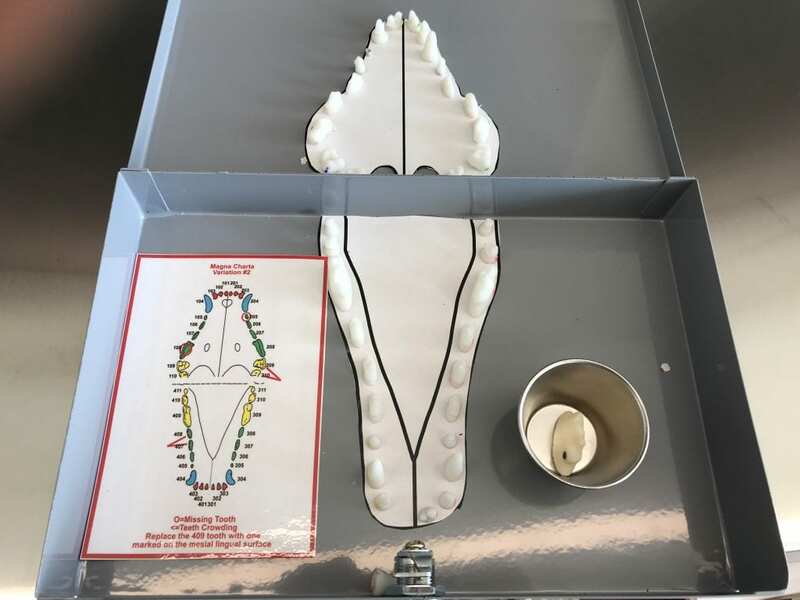 In this activity, students would identify and label the various anatomical structures of a tooth, which would help them with correctly putting the puzzle pieces together. 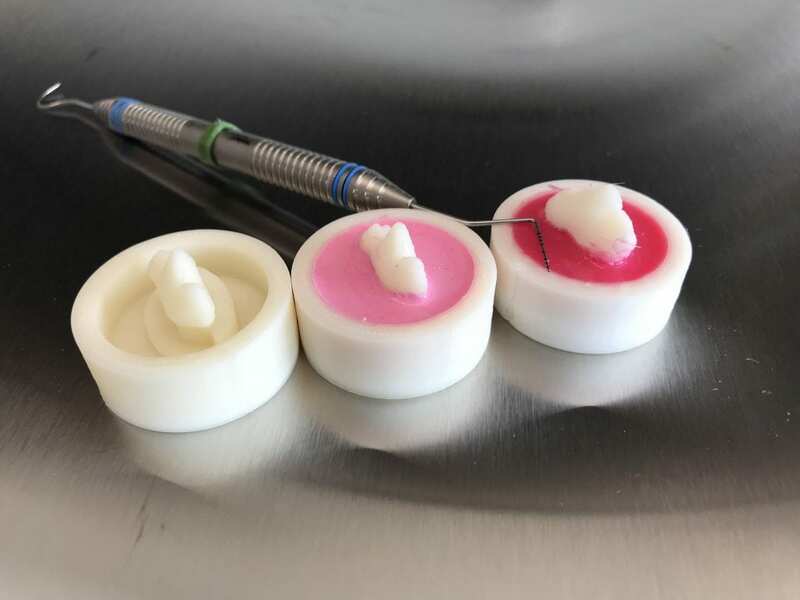 In addition, using a magnetic periodontal probe, student would demonstrate how and where to check for pockets without damaging a patient’s gums. The activity reinforces concepts that students learned in their dental anatomy lecture in Gross Anatomy I. The second provides a real life example in which pockets are present in only parts of the model. This magnetic game is designed to help students learn how to chart an entire 3D-printed set of teeth. 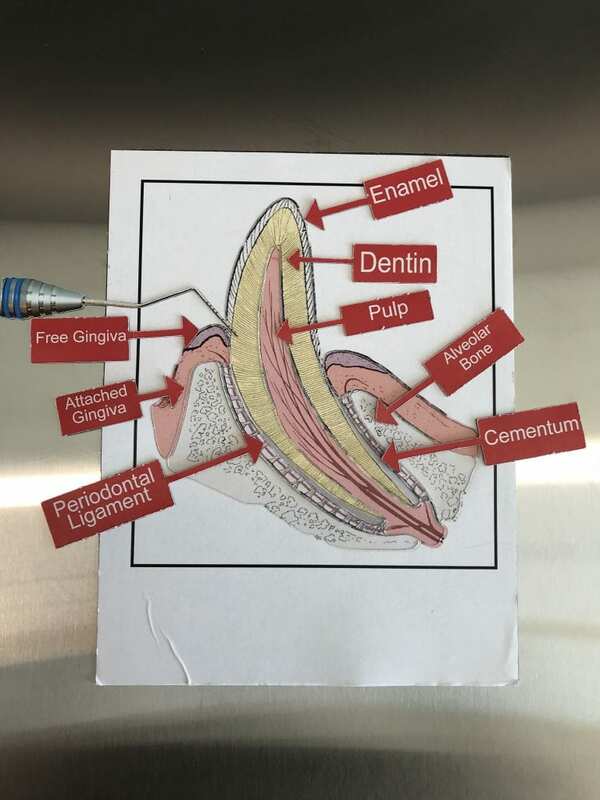 In this activity, students would first create pathologies by removing magnetic tooth/teeth, creating crowding, and/or replacing the 309 or 409 molar with a version with a stain on a specific surface. Students would then exchange Magna Charta sets, and chart the pathologies created by their partners. 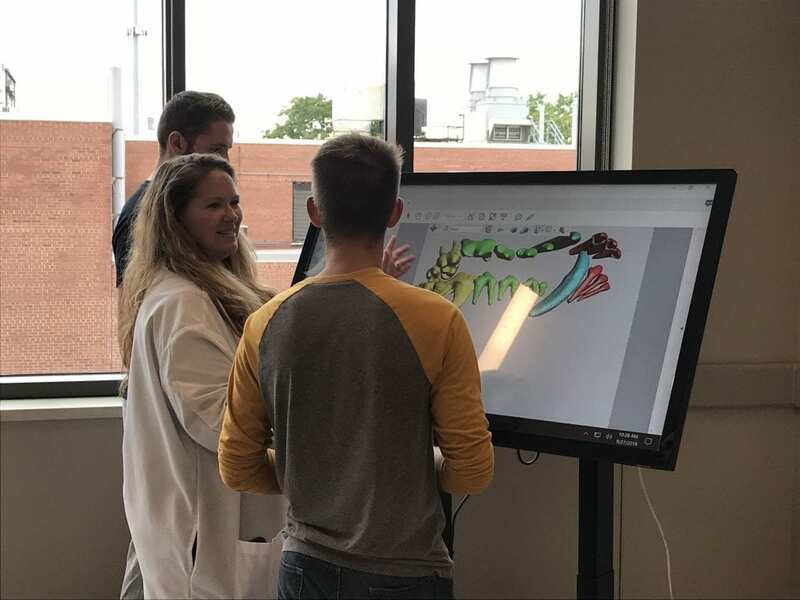 Students can view and interact with the digital 3D models of canine teeth, and they’re able to digitally manipulating them by panning, rotating, zooming, toggling layers, and so on. With these models, students can also practice articulating and labeling each tooth. Posted by mccready.48 at 7:55am October 4, 2018 Posted in Teaching, Teaching: Learning Technologies and tagged CPSL, Showcase. Bookmark the permalink.